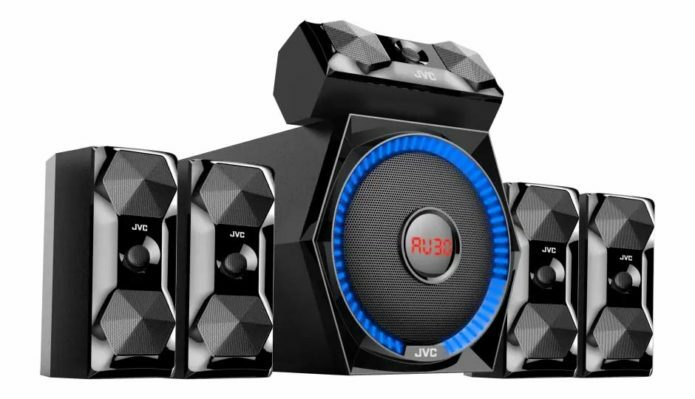 A good multimedia setup needs a good set of speakers, especially if one is trying to build a home-theatre system. To make for complete multimedia experiences with complete surround audio, a powerful and capable multi-speaker setup is essential. 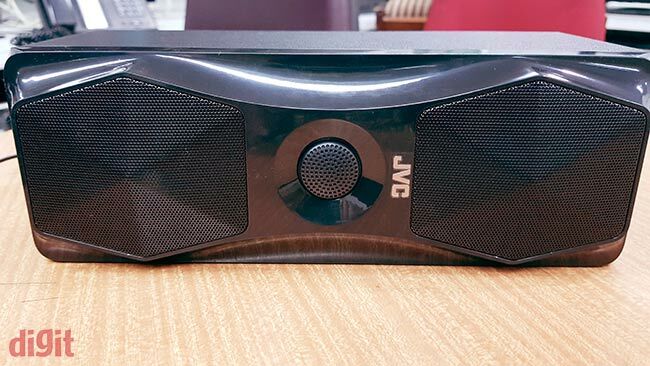 However, with the rise of portable and single-unit speakers, it is not often that we get our hands on a 5\.1 speakers set up at the Digit Labs. 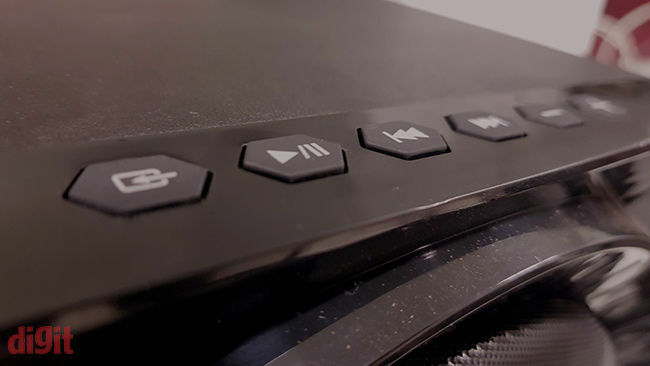 So, when the JVC XS-XN511A showed up at our office, we were definitely intrigued by how much of sense would such 5.1-channel systems still make in terms of the experience and the overall value. As mentioned earlier, you get controls on the woofer which let you switch between physical input ports and the inbuilt FM radio. 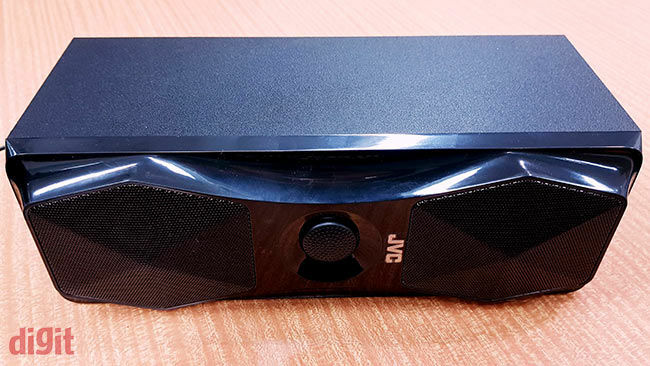 There’s a port on the back to connect an external FM antenna to improve the reception, which may be necessary as in our experience, the reception from the integrated antenna is weak in an enclosed room with no open sides, which is more frequent than not in a city like Mumbai. 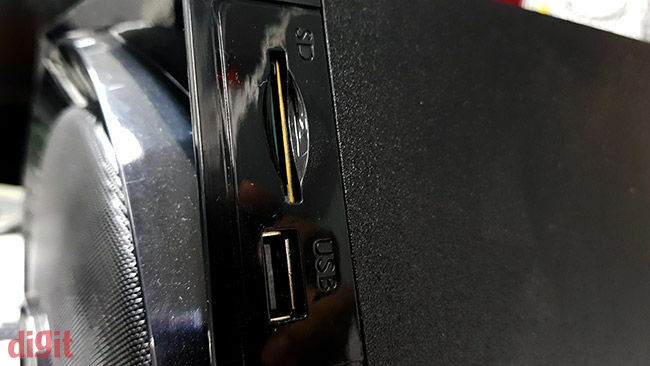 Additionally, for some weird reason, the FM antenna port is included in the ‘output’ group of ports – which might lead to some confusion when setting it up. Tracks like Selkies by Between the Buried and Me sound moderately powerful. The high instrument density in the track doesn’t lose impact, although don’t expect a high degree of clarity from the listening experience. Listening to Choti si Asha from Roja, all the individual instruments in the opening part of the song sound bright and crisp and the overall experience is quite nice. There are limitations to the XS-XN511A’s performance though – pushing the upper-mids results in treble peaking, perceivable in tracks like Hello by Adele. On overall terms, the bass sounds good enough for playing action movies while set up with TVs. 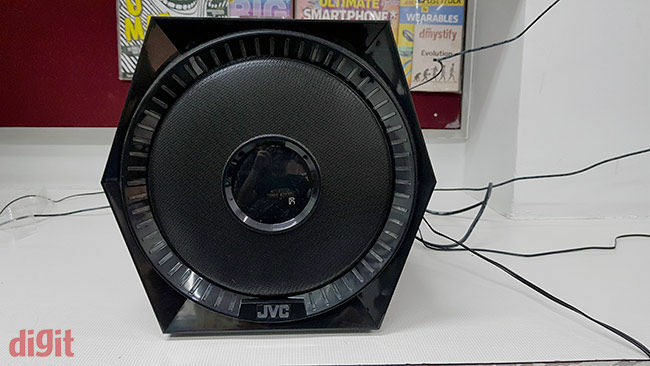 The bass output is also satisfyingly clear, and once you find the right balance of volume levels across all channels, the JVC XN511A can actually be a pretty decent 5.1-channel speaker setup to own.